Remember, our prices INCLUDE up to 2 adults (17+) and 3 children (under 16), your unit, awning attached (if appropriate), car parking, Wifi, and all services on your pitch and the site. Arrival: after 2pm Departure: before 11am Please tell us your expected arrival time if you expect to be late! 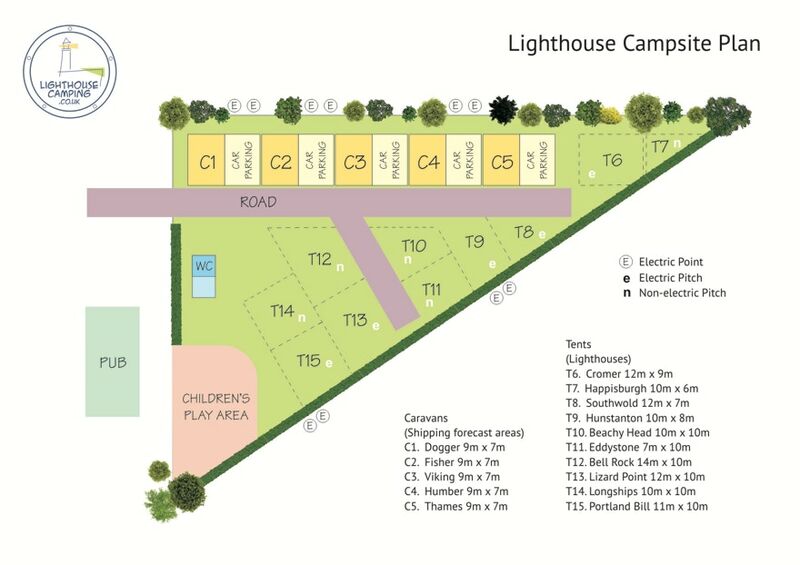 You can select the pitch you want when booking, so please have a copy of the site plan handy when you start the booking process! Our 2019-20 season prices are all daily prices, and you can begin your stay with us on any day, and stay for any period. the booking system will show you exactly what the cost of your stay will be as you build your booking, and you can change this at any time. We require a deposit of 25% at the time of booking (50% for high season bookings), and payment in full 60 days before your arrival date. we will send you a reminder of this a week before it is due!